Extensions offer you instant Style, Glamour & Sophistication. Create a new look with long flowing hair from various styles. Angstrom Tip Hair Extensions The smallest and most unique application that is undetectable to the human eye. Balayage Hair Extensions or Dip Dye, this hair is very popular, with stunning highlights you can quickly change your look to an exciting new style. Coloured Hair Extensions, Diamond grade, these funky, pre-coloured hair extensions are of the highest quality and at a very good price. 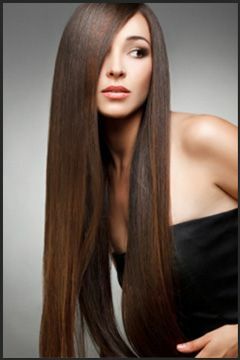 I-tip Hair Extensions are thick and smooth providing a more luscious look. Long 22″, very soft, natural looking and very strong. Glue Tip Hair Extensions, are a long 22″ extension, silky soft and pre-coloured. This hair is of the highest quality Glue Tip have a wider diameter making them thicker, stronger and providing more elasticity. Lorelei Hair Extensions are silky, smooth and long lasting. This hair never tangles, mats or goes dry. Lorelei are an exquisite line of pure 100% Premium European Remy Hair. Ombre / Dip Dye Hair Extensions are silky soft and of the highest quality. Micro bead, double weft, I-tip 2 tone hair. Russian Tape Hair also known as Seamless Hair Extensions. These are another form of wefted hair. The hair is attached to transparent polyurethane adhesive tape. Russian Taped Weft Extensions are a sandwich technique. Russian Weft Hair are stronger, flatter and no shedding at all. Russian Weft Hair Extensions are applied by plaiting the natural hair into a horizontal cornrows on tracks, then sewing strips of wefted hair. Ukrainian Hair, exclusive and sophisticated. Ukrainian hair will never dry, tangle or lose it’s sheen. It always remains silky soft and smooth to touch. Wavy Hair can be washed, styled, coloured and blow dried more often and last longer than other types of hair without the risk of damage. Will My Extensions Damage My Natural Hair? NO, our hair extensions are non damaging to the natural hair. No heat, no glue, no waxes. Our hair is easy to apply and to remove. How Long Will My Remy Extensions Last? With regular maintenance, which includes brushing daily with our soft bristle brush. Following our hair care guide and using our correct products Remy extensions last indefinitely, as long as you take care of them. Are Remy Extensions Easy To Maintain? Yes, Remy extensions are very easy to maintain. Sirens Hair Extensions are made of human hair and is just an extension of your own hair. You just treat them like your own. Whether you are looking for that extra length or that extra thickness or both our hair extension specialists are here to help you. Sirens Clip-on Hair Extensions are also available easy to install and remove. Our Hair Extension Salon is situated in Norton Street, Leichhardt. Our creative and professional team are here to provide you information that is important before and after installation. The hair used and supplied in our extensions is Premium, 100% Human Remy Hair. What this means to our client’s is that the cuticle of the hair runs correctly from top to bottom on each strand making a much shinier more natural looking hair. The hair used in our Remy extensions have a wider diameter, making it thicker, stronger and giving it more elasticity which is perfect for hair extensions. This means that the human Remy extensions can be washed, styled, coloured and blow dried more often and last longer than other types of hair without all the damages. Sirens Hair Extensions company sources our hair from Hair Manufacturers. All our hair is 100% human Remy of the highest quality. It is guaranteed to be 100% ethical. Sirens extensions have not been put through harsh chemicals and are non damaging to your normal hair and is 100% natural and long lasting. Fine or Thin Hair? No Problem! If you have fine hair you can now be happy to know you can add that little bit of extra volume without damaging your natural hair. No glues no heat. Our hair is applied strand by strand and gives you that instant volume within minutes. We currently stock a wide variety of colours with over 40 to choose from. Whether you are looking for a shade or an existing colour match to your hair colour. If you want to add highlights without damaging your natural hair then look no more. Our silicon micro method is an easy application to apply and remove. We have many vibrant colours to choose from. All extensions are 100% human hair and of the highest quality. These extensions are in top grade condition meaning that it hasn’t been put through harsh chemicals. We only use 100% Remy Hair, meaning that the hair is collected with the cuticle layers all facing the same direction from root to tip just as they would in your natural hair. This stops your hair from matting or tangling. All our extensions are keratin tipped making it compatible with heat water and sunlight. We use the silicon micro ring method which is non damaging to the natural hair. Our extensions are re-usable and more cost effective.